Welcome to mineral pool care courtesy of POOL FROG. 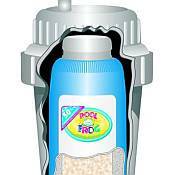 The Frog pool water purifying system works just like mother nature, using unique, patented ionic catalyst technology to provide clean, clear, and safe water WITHOUT the harshness of traditional chemicals. 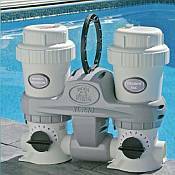 With Frog, your pool water will smell sweet and be remarkably gentle on the skin, eyes, and hair -- it will feel like you've been swimming in naturally fresh spring water. The Frog Cycler system uses a compact cartridge that has no moving parts. 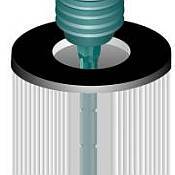 The basic cartridge lasts for 6 months, virtually a complete swimming season. As water passes through the Frog's mineral system (consisting of silver, zinc, calcium, and other natural minerals), bacteria and viruses are FULLY killed and eliminated, effectively purifying your water. 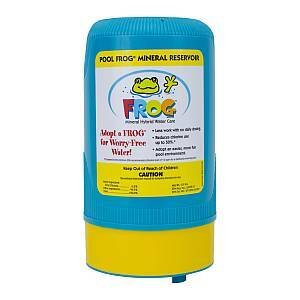 You need only to supplement the Frog system with a small amount of chlorine (about the same amount that is in your drinking water) and a regular weekly shock. 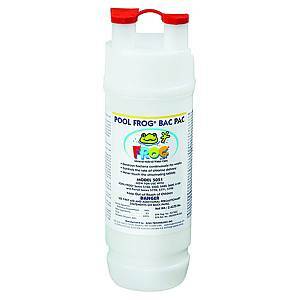 It's simple, it's effective, and Frog will likely cost less than your current sanitizing method. 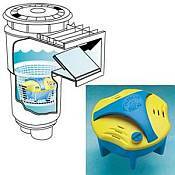 The Frog feeder easily installs in your filtered water return line (either 1.5" or 2" PVC). 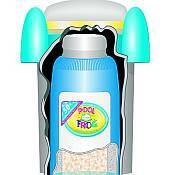 Includes the feeder, the mineral pac, and flow control pac. 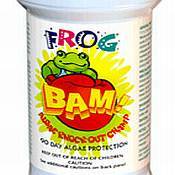 Fights bacteria and prevents algae growth. Makes the water feel softer and look sparkling clean. Cuts down on use of chlorine. 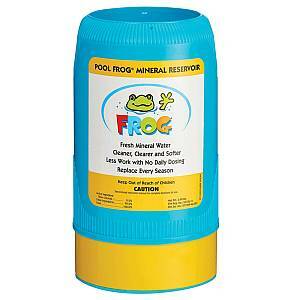 Frog's minerals help to keep your pool's water pH balanced. Your family will love the water . . . you'll love the ease and the savings!